Comments: This is just one of many species of smilax. This particularly one produces clusters of attractive red berries. 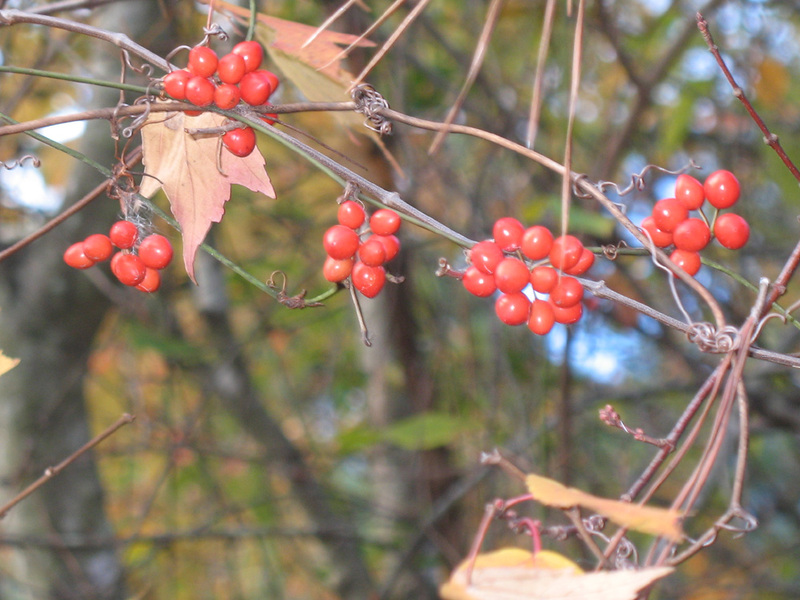 This vine uses shrubs and trees to support its rapid growth and can become a problem in carefully maintained woodland gardens, although the berries are quite attractive.